After getting some major love on my previous plaid post (which was also featured on Trendy Mondays and Eat Sleep Denim), I decided that I simply had to continue my courtship of the fashion trend. As you can see, I have abandoned my monochrome ways, and mixed not one, not two, but three prints into this particular ensemble. Of course, this melange of patterned matter would not be such a feat if I didn’t spend so much time embracing a more simple way of dressing. However, even I enjoy stepping out of my realm of comfort to serve up some fresh style inspo to you style mavens. Then, the next thing you know, you are truly embracing the power of plaid. Love how you styled all 3 prints together – I’ve been on the hunt for a red plaid shirt to mix with one of my leopard pieces and I am loving this Mango shirt! OK, I need to say this once an for all, Am an addict for plaid I can wear it everyday without not feeling like I commit a fashion faux pas. im glad you have continued this courtship because this is a new favorite! OMG I just want to reach into my screen, strip you naked and steal your clothes! hahaha! I would too, no shame! I am going mad for this plaid and zebra print mix! I didn’t see the zebra shoes on Instagram! LOVE! Thanks 😉 This coat is pretty much one of my favorites!! When I bought a woven bag, I will ensure that the bag is dyed in a special condition of high temperature which guarantees the long duration of the pretty colors. This outfit looks so comfy yet chic at the same time! Love that jacket! 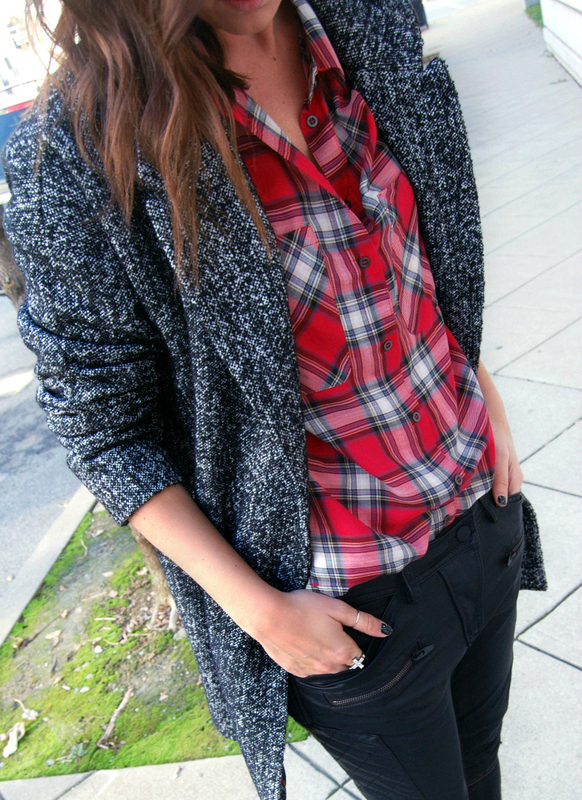 Plaid has been on my radar- love how you styled it here with the borrowed-from-the-boys coat. Brilliant! Amazing blouse, and love the way you styled it! Oh I love that top and the pants. Definitely mad for plaid. It looks amazing and I also love the jacket. Oh, I just love this entire outfit! I’ve been looking for a nice plaid shirt for such a long time, this is a great one & those coated jeans are absolutely killer too!